Investing in Boise Real Estate has never been better! I’m just stunned at the number of deals to be had out there! Today I wanted to feature a “handyman’s special” as they are sometimes called on the IMLS. These homes aren’t always for the new investor, but if you are comfortable with what you are doing they can be a great deal. 2693 S Lemhi St is a 3 Bed, 1.5 Bath 1200 sq ft, Real Estate Owned (REO or Bank Owned) fixer that literally just went on the MLS. Sold “as-is” of course, and it definitely needs some fixing! Also, as with many Real Estate Owned properties, investors are going to have to wait until day 14 to make an offer. So truthfully this home may be gone if someone wants to live in this place while fixing it. But I’d be surprised (disclaimer: I’m surprised daily). Have a look at the pro-forma I put together for the property. 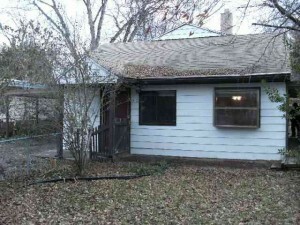 I estimated $52,000 to get it rentable; and yes, I know $8,000 is a lot for repairs on a rental! But it needs some love. The Cap Rate is at 8.84% if rent is at $750 / month. It Cash Flows with 25% down at $165 / month or $1,980 annually. Let’s go take a look at it! Want more investment specials? Signup for my uber-cool newsletter. Why am I not living in Boise? I gotta’ reconsider this. I know. There are kinds of crazy deals right now. Especially if you are looking for an investment property!